The VIP-820 Trunk Port connects to extension or stations and can also integrate to PBX dedicated line ports. Use to tie line PBX’s and save leased line charges. Use your IP phone through an FXS port to access Valcom Paging Systems in the building or across town. 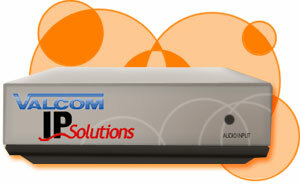 Click here to view Valcom's VIP-820 Network Trunk Port PDF.